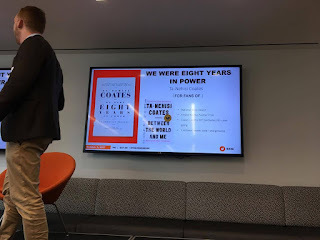 On Thursday September 7th, myself and other book bloggers, book sellers, and librarians alike were invited by Penguin Random House of Canada to not only stop by and visit their gorgeous head office, but to also take part in their fall preview event. 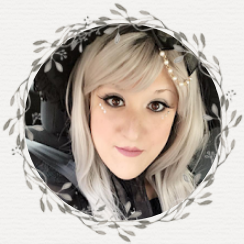 The event was scheduled to take place both the Thursday and Friday, however I chose the Thursday due to scheduling, and because I was incredibly eager to learn more about this fall's exciting titles! 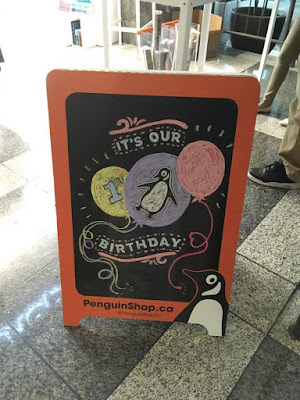 On the day of, I arrived a half hour early, and chose to take the opportunity to finally visit the Penguin Shop, located on the main floor of the building, for the very first time. During my other visits to PRHC, the shop had unfortunately been closed due to either the day or time, but this time I eagerly browsed the shelves, desperate to bring some new pretties home. On my visit, I chose to purchase a beautiful cloth bound copy of Les Miserables by Victor Hugo. The entire collection of Penguin cloth-bound classics is stunning, and although I already own a few, I absolutely felt it necessary to now own Les Mis! After my brief and fangirlish stop at the Penguin Shop, I made my way up to the office, albeit still a little early, and settled into a seat in the large and spacious event room, and enjoyed a bit of popcorn before the start of the event. The bookish evening started without a hitch as we followed along with the slide presentation ahead of the room, and jotted down notes onto our book packages that were waiting for us as at our seats earlier on. It was an informative two hours with some amazing praise being given to some highly anticipated releases, some hilarious trivia breaks, and some amazing comparisons to other titles. 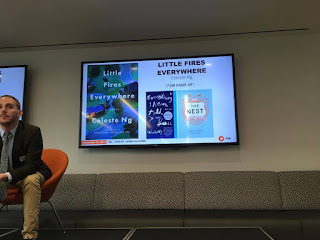 Over 100 titles were showcased in our book packages and during the slide presentation, and I came away with quite a list of titles I'm eagerly anticipating to read. Towards the end of the evening, PRHC had a delicious surprise for all in attendance - a guest appearance by not one but five incredible authors! 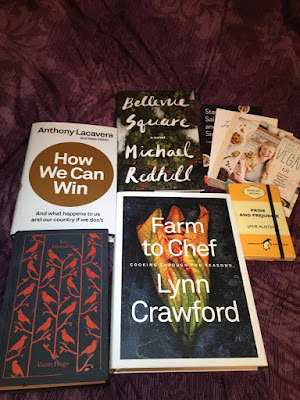 Featured during Thursday's event were authors Anthony Lacavera, Michael Redhill, Sam Turnbull, Chef Lynn Crawford, and Linda Spalding. They all spoke generously about their books and additionally stayed afterwards for a meet and greet and book signing! 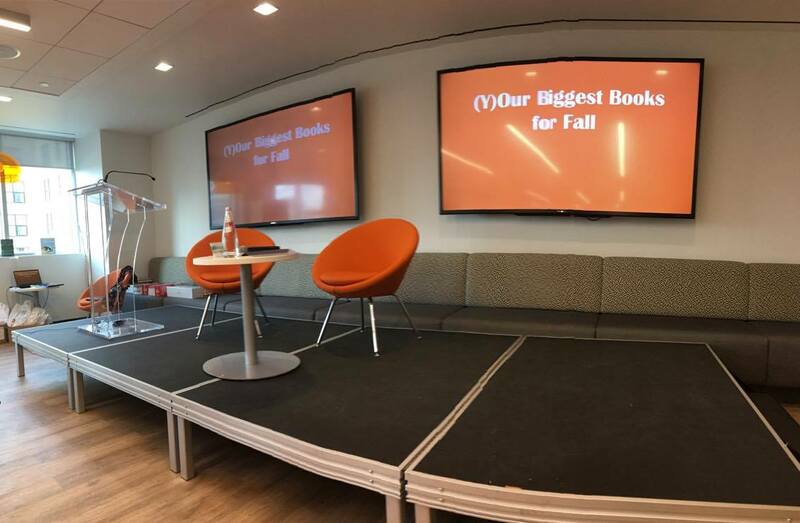 All in all, Penguin Random House of Canada's fall preview event was highly informative, fun, and a wonderful evening overall. I enjoyed hearing about this season's exciting new releases and can't wait to dive into my personal top ten list. 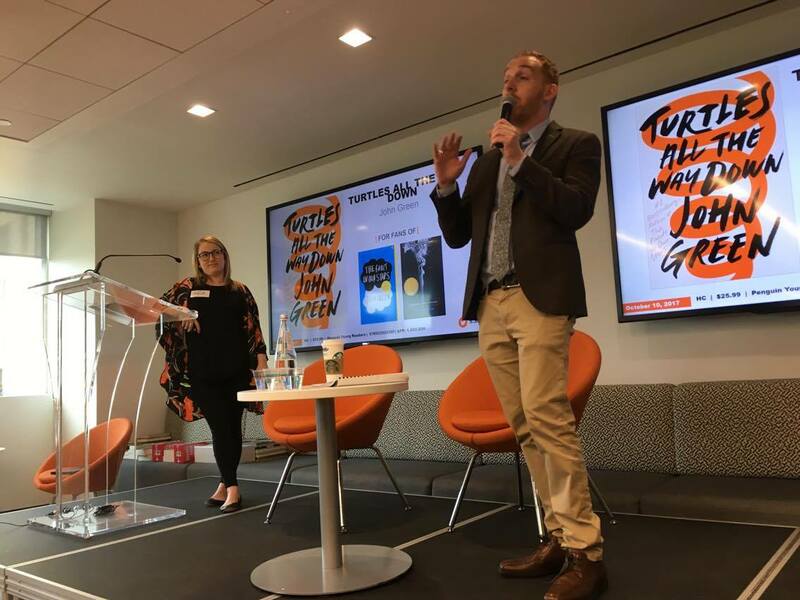 A big thanks to Penguin Random House of Canada for hosting another wonderful event.